TORONTO, ON (June 13, 2012)—Pauleanna Reid appears live on Daytime discussing summer fashion tips every woman should know. Neon colors, florals and pastel colors were just some of the suggestions Pauleanna discusses. “Having your own unique and personal style gives you the ability to tell a message to the world. I always tell my clients, before you even open your mouth you are making a first impression. So always maintain a style that is true to who you are. You never know who is watching and what power they hold. Windows of opportunities can open and close,” says Reid. 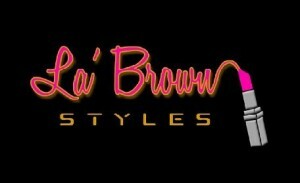 Alongside business partner, Bianca Brown, Pauleanna successfully owns and operates La’ Brown Styles; an image consulting company est. in 2007. Her team of elite stylists service clients based in both Los Angeles and Toronto through personal shopping, image consulting & wardrobe styling. Aside from her appearance on Rogers Television Pauleanna has also appeared on TV Tropolis. She has worked with many of today’s top celebrity fashion photographers and plans to continue using her creativity and unique fashion sensibility to develop the ultimate customer experience.